The white paper also includes details about industry initiatives that have focused on streamlining testing and certification process. The U.S. EMV VAR Qualification Program, launched by the EMV Migration Forum, the Payments Security Task Force and the PCI Security Standards Council in April 2015, is designed to help streamline and simplify the EMV testing and certification process for VARs and ISVs. The Forum’s Testing and Certification Working Committee’s Acquirer Subcommittee also worked with the EMVCo Terminal Integration Task Force on a payment network framework for testing and certification tool automation and process improvement that is currently being implemented globally. 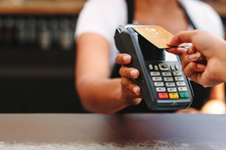 The updates to this white paper are part of the EMV Migration Forum’s ongoing efforts to provide the education necessary for the U.S. to successfully move to chip cards. For more information on the Forum and additional resources, visit http://www.emv-connection.com and follow @EMVForum on Twitter.